MADISON, Wisc. 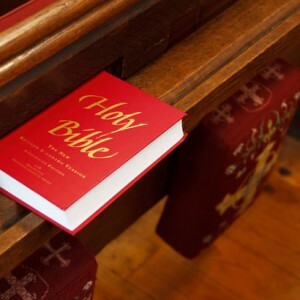 — A federal judge has again struck down a 60-year-old law that allows pastors in the nation an exemption from paying taxes on their housing allowance. “[A]ny reasonable observer would conclude that the purpose and effect of § 107(2) is to provide financial assistance to one group of religious employees without any consideration to the secular employees who are similarly situated to ministers. Under current law, that type of provision violates the Establishment Clause,” wrote U.S. District Court Judge Barbara Crabb, appointed by Jimmy Carter. As previously reported, the Wisconsin-based Freedom From Religion Foundation (FFRF) had first filed suit in August 2012 to challenge the 1954 “parish exemption” granted by Congress. “In the case of a minister of the gospel, gross income does not include (1) the rental value of a home furnished to him as part of his compensation; or (2) the rental allowance paid to him as part of his compensation, to the extent used by him to rent or provide a home and to the extent such allowance does not exceed the fair rental value of the home, including furnishings and appurtenances such as a garage, plus the cost of utilities,” the pertinent statute states. U.S. Representative Peter Mack, who introduced the legislation, was said to have introduced the law in order to reward ministers for working to fight against wickedness in the land. FFRF asserted that the tax exemption violated the Establishment Clause of the First Amendment and the equal protection provision of the Fourteenth Amendment. The organization claimed that it was unfair for clergy to receive the tax break while others, such as the founders of FFRF, must pay taxes on their housing allowance. “[I]t is pure discrimination to deny atheist leaders the housing allowance privileges given to clergy as a reward for fighting ‘godless foe,’” co-founder Annie Laurie Gaylor stated. In November 2013, Crabb agreed with FFRF, declaring section 2 of the tax code unconstitutional. “Because a primary function of a ‘minister of the gospel’ is to disseminate a religious message, a tax exemption provided only to ministers results in preferential treatment for religious messages over secular ones,” she wrote. However, the following year, the 7th Circuit Court of Appeals in Chicago reversed Crabb’s ruling, opining that FFRF had no standing in the matter. FFRF suffered no personal injury, the court said, because it has never sought to obtain the exemption and therefore cannot show that it had been denied under the law. Therefore, FFRF applied for the exemption, and refiled the suit in April 2017 after being denied. Named in the lawsuit were U.S. Treasury Secretary Steve Mnuchin and IRS Commissioner John Koskinen. “Although defendants try to characterize § 107(2) as an effort by Congress to treat ministers fairly and avoid religious entanglement, the plain language of the statute, its legislative history and its operation in practice all demonstrate a preference for ministers over secular employees,” Crabb ruled again on Friday. “Ministers receive a unique benefit under § 107(2); it is not, as defendants suggest, part of a larger effort by Congress to provide assistance to employees with special housing needs. A desire to alleviate financial hardship on taxpayers is a legitimate purpose, but it is not a secular purpose when Congress eliminates the burden for a group made up of solely religious employees but maintains it for nearly everyone else,” she said. In addition to concluding that it is unfair to only benefit pastors, Crabb also stated that that the law can be problematic because it is not limited to ministers with lower incomes, but wealthy prosperity preachers can still live in multi-million dollar homes tax-free. “If Congress were concerned about lessening the tax burden on poor Americans, it could have tied the exemption to income and made it generally available to any employee who qualified rather than to all ministers who receive a housing allowance,” she contended. It is not yet known whether the government plans to appeal.